I thought I would take a photo of my latest commission framed alongside some of my other artwork to show the different sizes of frames. 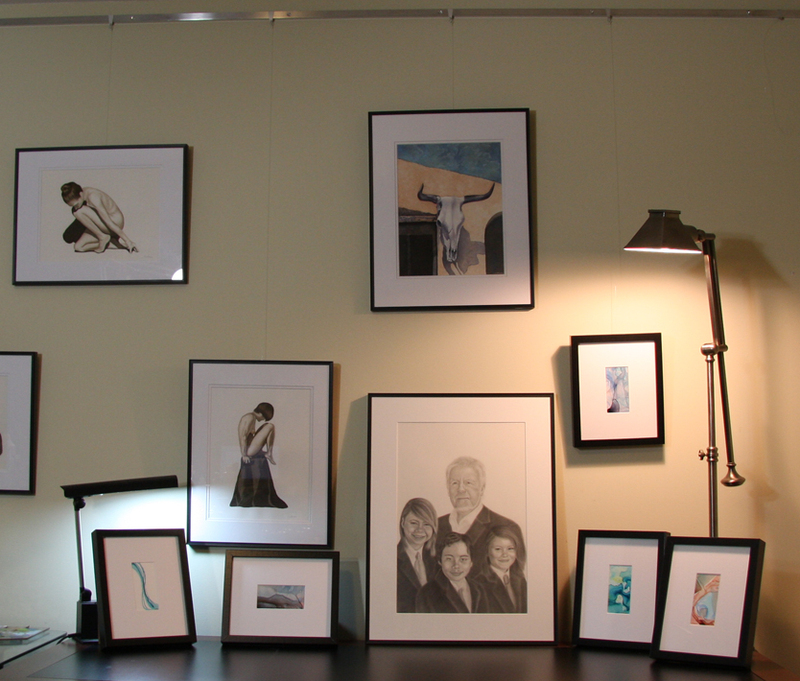 The family commission is in an 18x24" frame, the cow skull, Better Days, is in a 16x20" frame and the figures are both in 14x18" frames. The smaller abstract painting are all in 9x11" frames. 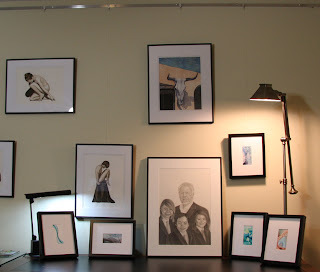 I also posted a cross link to some tips on choosing frames and caring for artwork from this past post. Nicely done Tracey! I feel the same way after a commission, part of me wants to keep the picture and look at it for a few more weeks, enjoy it a little, instead of giving it to the owner so quickly. And the other part of me feels that sigh of relief too once it's framed and packaged, done and done!! I did a commission as well over the holidays, will post it to my blog soon. Thanks so much Vanessa :) I am looking forward to seeing your commission as well. I tend to forget about blog visiting as so many blogs are no linked on facebook I go there and then forget to leave, damn time sucker, but very cool to see all the amazing works in "one spot"! Wishing you joy & creativity in 2011 as well!